Visit a world of grassy steppes, tall mountains, and beautiful people. 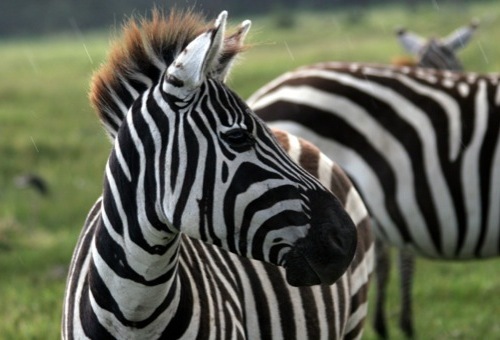 This adventure safari in East Africa is an amazing blend of natural wonders and local cultural experiences; you will be amazed at the abundance of both. Watch the sunset over the plains of Maasai Mara, view lion, elephant, giraffe, hyena, and many more from four-wheel drive vehicles. Enjoy great food and spirits as you stay in comfortable lodges. 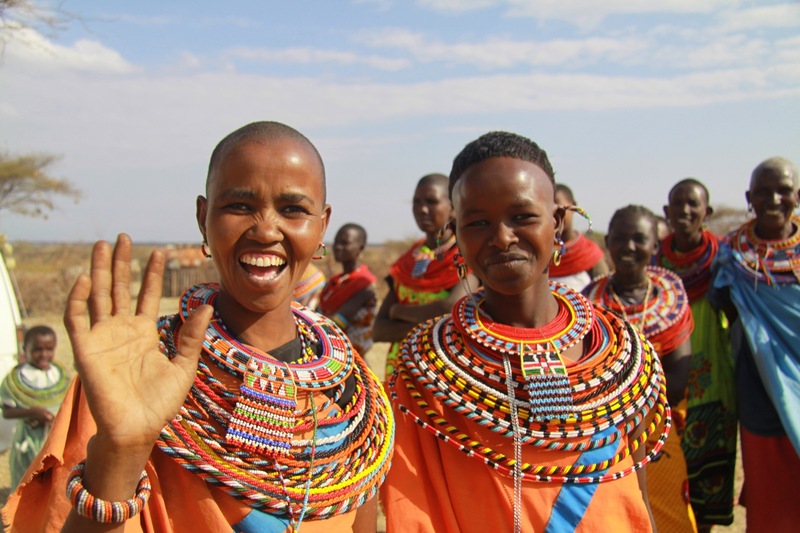 Visit a local school, sample traditional foods, make friends, and go hiking with Maasai warriors. 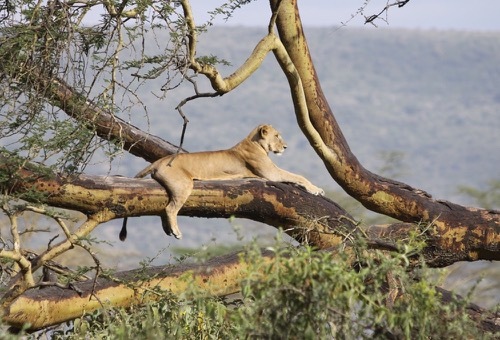 Join Wilderness Inquiry in Kenya for this once-in-a-lifetime experience. Day 1: Welcome to Nairobi! 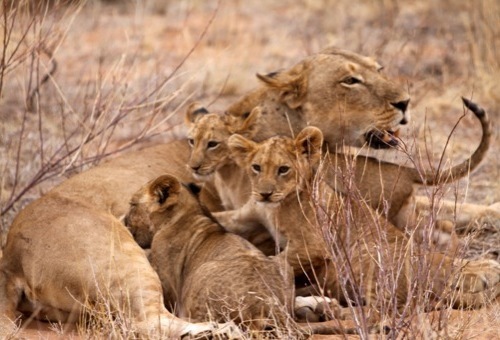 Meet your group mates and prepare for a world-class safari adventure. Your guide will meet you in the evening at the Jomo Kenyatta International Airport in Nairobi. From the airport, you’ll ride to your Nairobi lodging for a night of rest (with an option for a late evening meal not included in the fee). Day 2: Visit Kambi Primary School and settle into your lodge at the base of Mount Kenya. 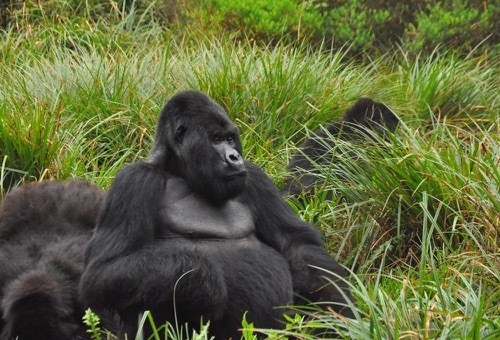 The group will leave Nairobi, passing through the coffee and tea farms of the central highlands and check into the Naromoru River Lodge for lunch. In the afternoon, the group will visit Kambi Primary School where Muthoga, one of your guides, attended school as a child. Here you will tour the school, have tea with the headmaster, and leave a donation of some much-needed school supplies. After, enjoy an evening walk along the Naromoru River. Spend the night at the Naromoru River Lodge near the base of Mount Kenya. After breakfast, you’ll visit Kenya's exotic Samburu National Reserve. 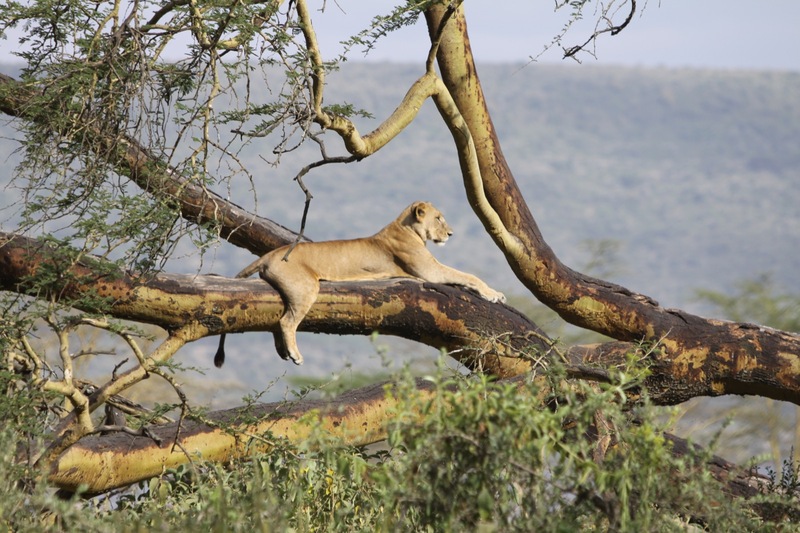 The reserve lies on the Ewaso Nyiro River where lions and leopards are regularly seen (from a safe distance). Tonight you’ll stay at the Samburu Game Lodge. 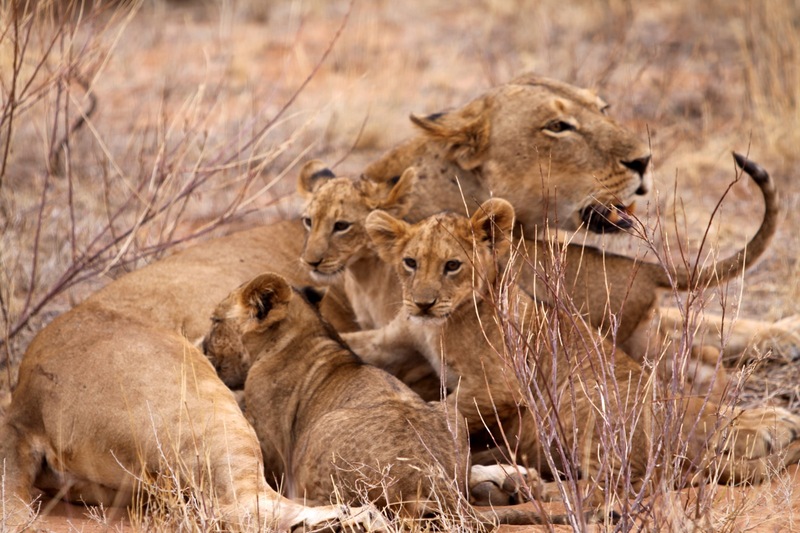 Day 4: Explore a Samburu village, then search for African mammals during an evening game drive. 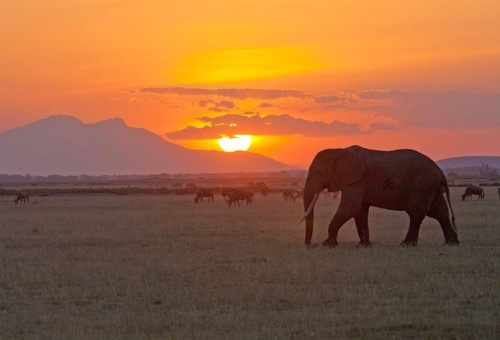 Today you will get a chance to see African mammals at dawn and dusk. During the day, you will have the chance to relax by your hotel’s pool or take a stroll around town. Before your evening reserve adventure you'll visit a Samburu village where you can experience the dancing, fire making, beadwork, and company of these distant cousins to the Maasai. Day 5: Visit Sweetwater's Sanctuary, home to some of Jane Goodall's chimpanzee refugees. After breakfast you’ll visit Sweetwater’s Sanctuary and some of Jane Goodall's chimpanzee refugees. You’ll observe rhino and warthogs. There may even be a chance to see some of the 'big five' (lion, elephant, Cape buffalo, leopard and rhinoceros). Overnight accommodations will be at the Pelican House. 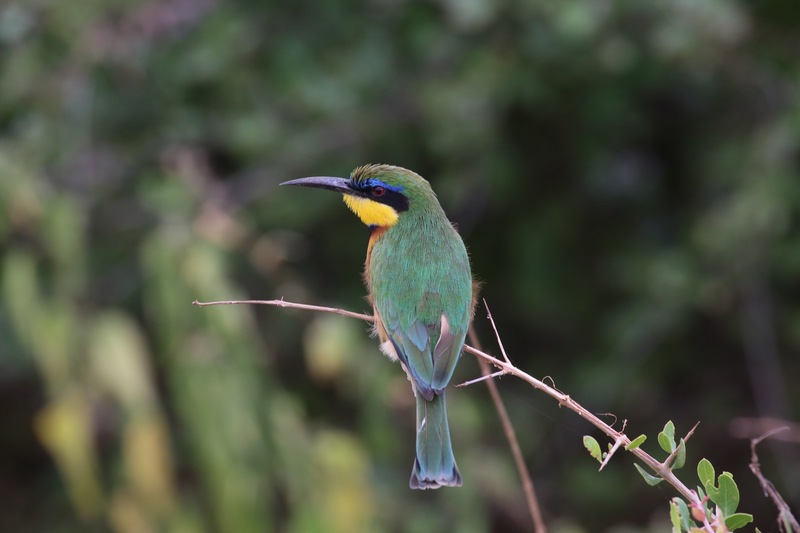 Day 6: Depart for Lake Nakuru and visit Thomson's Falls on the Ewaso Ng-iro River. Leave early for Lake Nakuru, stopping along the way to explore Thomson's Falls for lunch and take in this 243 ft scenic waterfall on the Ewaso Ng'iro River. 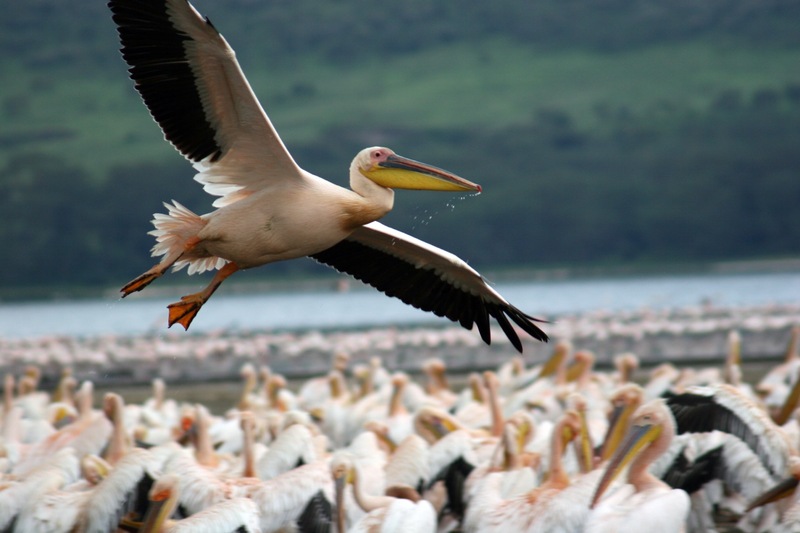 Continue to Nakuru to visit a market and stay overnight at the Flamingo Hill Tented Camp. 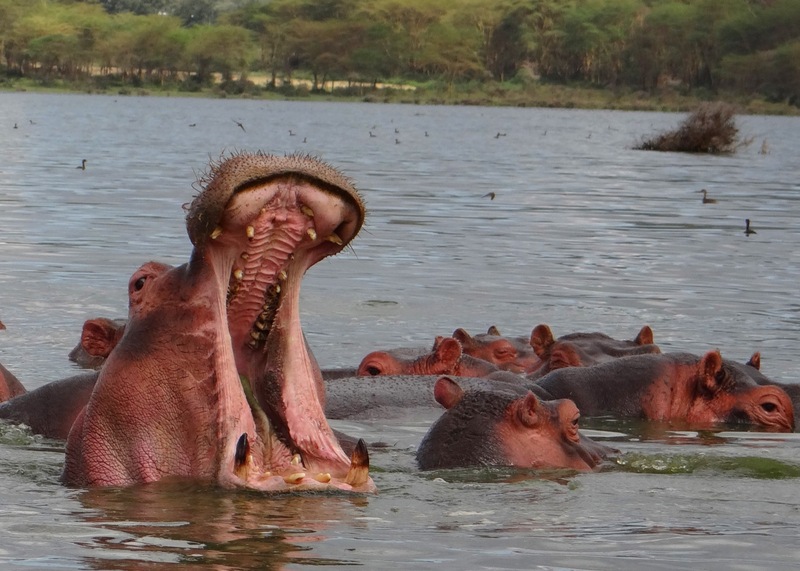 Day 7: Search for rhino, giraffe, baboons and more on a game drive near Lake Nakuru National Park. 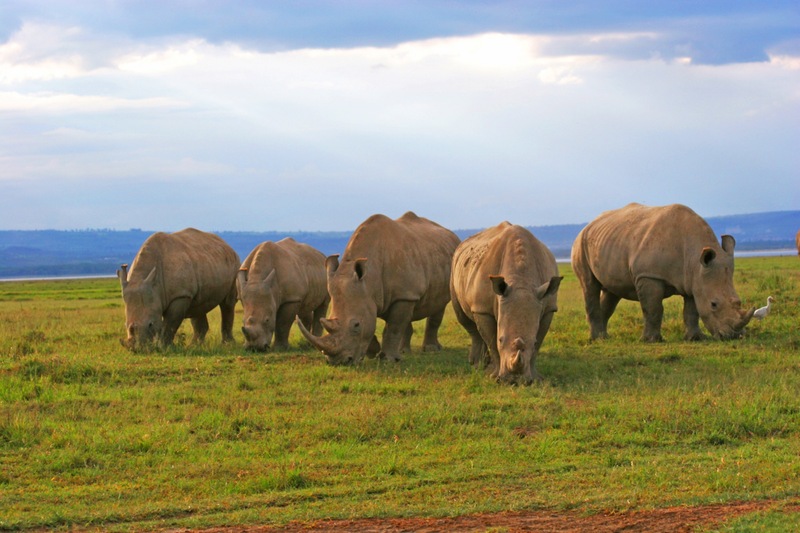 After breakfast your group will go for a game drive near Lake Nakuru National Park, where you’ll see rhino, giraffe, baboon, and birds in their most active state. After lunch, you’ll enjoy a boat cruise on the Crater Lake among flamingos and colobus monkeys. 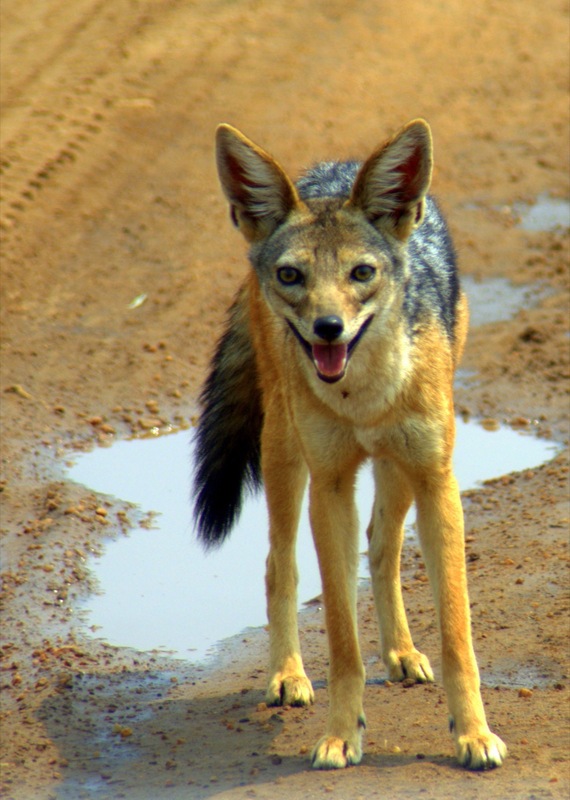 Visit the Elsamere Conservation Centre, where the story of Joy Adamson's Born Free is told. 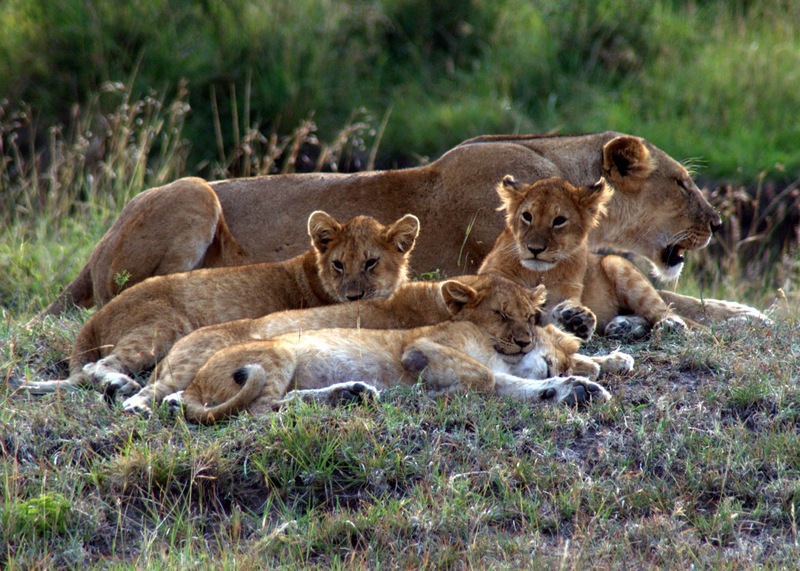 Day 8: Learn about the Maasai Mara and explore the city of Narok. Start your day in the city of Narok to meet up with social entrepreneur Hellen Nkuraya, your Maasai liaison. Tour Narok, pick up some gifts for your Maasai hosts and then continue on to Hellen's boma. As part of the Maji Moto Project, Hellen has created a girl's school, a widows’ village, and a tourist camp at the base of the Loita Hills just an hour from the Maasai Mara National Reserve. The camp introduces visitors to Maasai culture and life on the African savannah. The camp has simple but comfortable huts/cabins. 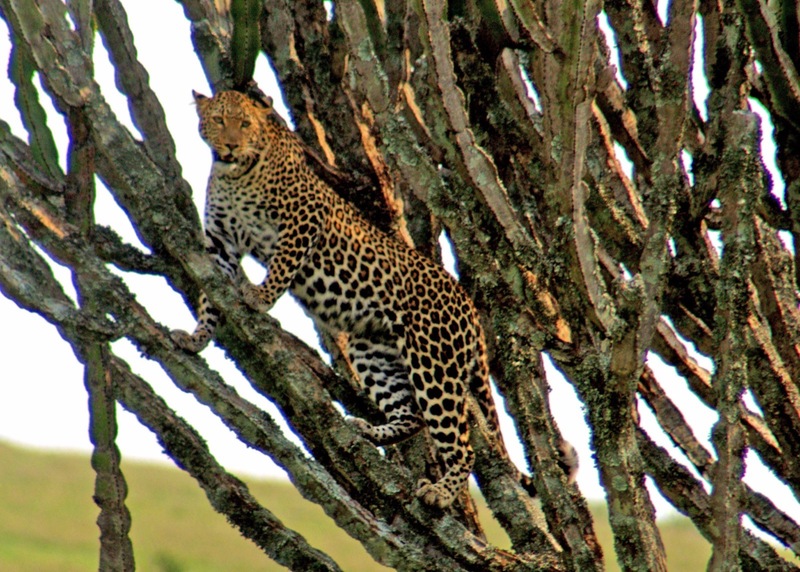 Day 9: Look for the "big five" on the rolling plains of the Massai Mara Reserve. After hot tea and breakfast, your group will join our Maasai hosts for activities such as taking livestock out to graze, blessing ceremonies, or warrior training. Walk down to visit the local school before heading off to the Maasai Mara Reserve–this is the Africa that you've seen in pictures. Rolling plains stretch as far as you can see and provide sightings of all the "big five" African mammals. 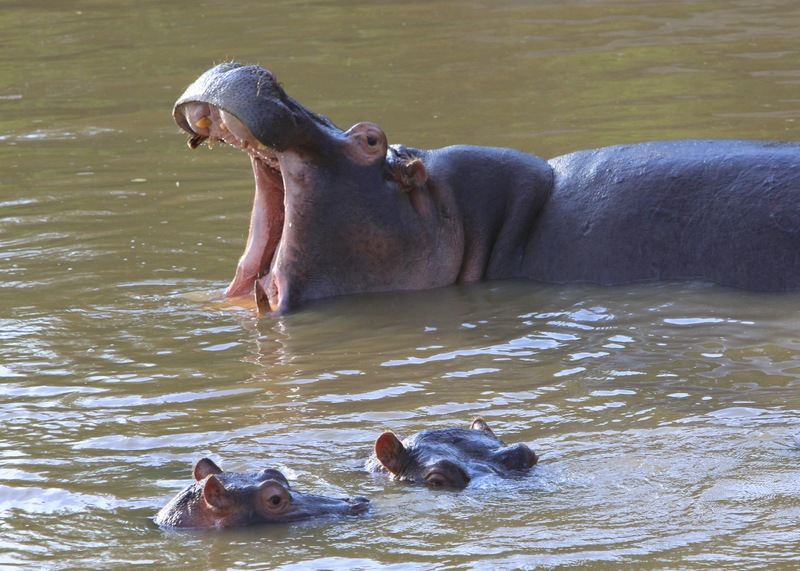 Day 10: Visit the Mara River and search for wildlife on an afternoon game drive. 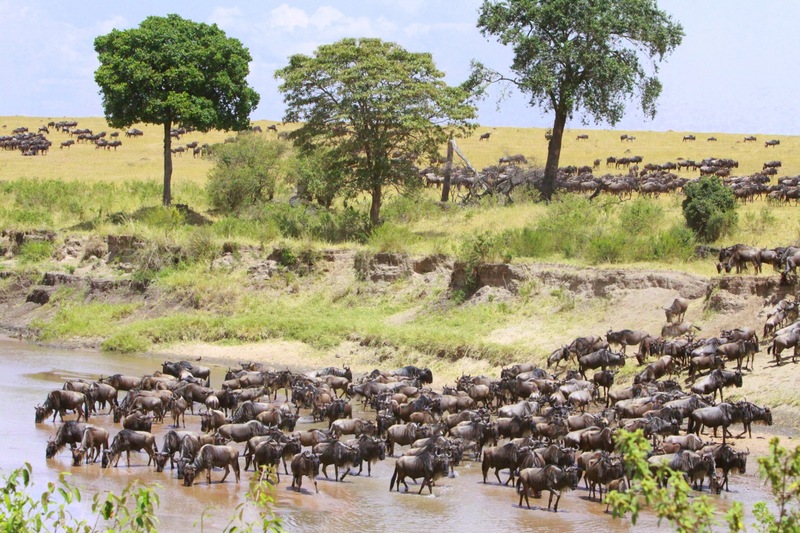 In the morning, you’ll visit the Mara river, walk a few steps into Tanzania and trek along the riverbanks. Today, you may take a full-day game drive or choose shorter drives in the morning and afternoon. Day 11: Take in views of the Great Rift Valley before transferring back to Nairobi. Your group will head back to Nairobi stopping for scenic vistas of the fertile Great Rift Valley along the way. You will select a location for your lunch (not included in the fee), with assistance from your guide. For dinner, you’ll enjoy a feast at Carnivore Restaurant (rated in the top 100 in the world). You'll have a chance to taste local game and drink dawas, the perfect closure to an amazing African adventure! 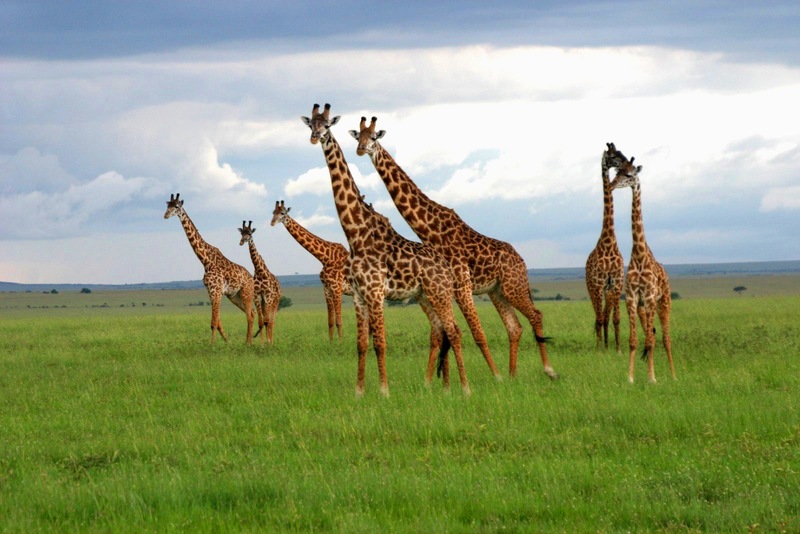 Day 12: Visit the Wildlife Trust Giraffe Center and the Nairoibi market. Say farewell to your trip mates. On this last day, you’ll visit the Wildlife Trust Giraffe Center and experience the Nairobi market. You will select a location for your lunch (not included in the fee), with assistance from your guide. For dinner, the group will dine at a traditional "nyama choma" restaurant before catching your evening flight. 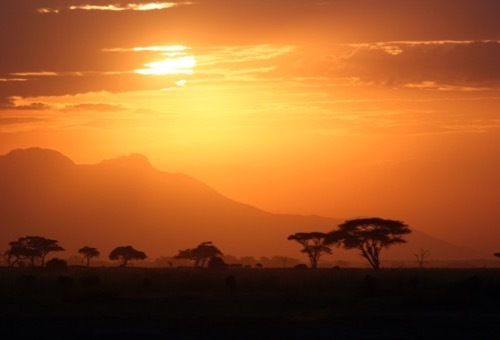 TERRAIN/ROUTE: Kenya varies in terrain from tall mountains to vast plains. You’ll complete a circuit route that takes you North out of Nairobi to Mt. Kenya, then Southwest to Nakuru, on to Masai Mara, and back to Nairobi with many great stops along the way. TYPE OF TRAVEL/DISTANCE: East Africa is a welcoming escape for travelers of all levels of experience. Travel between destinations is provided in four-wheel drive vans where everyone has a window seat. For the safari sections, we’ll open the roofs of these vehicles for excellent wildlife viewing and photography. No previous experience is necessary. WEATHER: In the area where most safaris take place, it can get very hot during midday and cools dramatically at night (50º-95ºF). Mid-March through April is a period of short rains, and November and December see more persistent rains, though rain is possible year-round. YOUR GROUP: The group size ranges from 5 to 14 participants, plus one Wilderness Inquiry staff and several local guides. Each group consists of people of various ages, backgrounds and abilities, including people with disabilities. SINGLE TRAVELERS: If you are traveling alone, you will feel at home with a welcoming group. If you would like to have your own room throughout the trip, you may purchase a single supplement for an additional fee. Please email or call us if you would like this option. ACCOMMODATIONS: Throughout the trip, you will be staying in wonderful safari lodges and tented camps, small hotels, and guest houses. Most rooms are double occupancy with two beds. Participants will be paired by gender or requests to room together. MEALS: All meals are prepared for you. You’ll enjoy typical Kenyan and British cuisine, including beef, chicken, fish, and lots of fruit, and vegetarian options will be accommodated. Bottled water is readily available. Count on hearty breakfasts, picnic trail lunches, and lively dinners. While we’ll enjoy happy hours together, the purchase of alcoholic beverages is not included in the trip fees. EQUIPMENT AND CLOTHING: You will need to provide your personal gear as outlined in the packing list. If you are new to outdoor activities, you do not need to spend a lot of money. This trip begins at Jomo Kenyatta Airport in Nairobi, Kenya, on the first evening of the trip. You will ride in a WI van/jeep throughout the trip and be returned to the Jomo Kenyatta Airport in the early evening on the last day of the trip. If you need assistance making your travel arrangements for this trip we recommend that you consult with a travel agency, Travel One, at (800) 247-1311. They can help you make the best flight connections at the best prices. Detailed meeting place instructions will be sent to you when you are confirmed for the trip. Please note that all flights should be scheduled to arrive/depart after 8 AM and before 12 midnight. 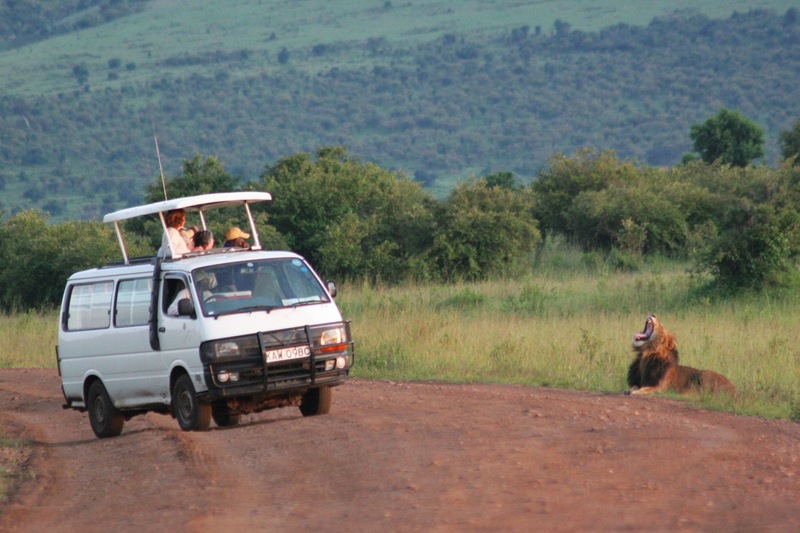 Are your safari trips accessible for a person who uses a manual wheelchair? 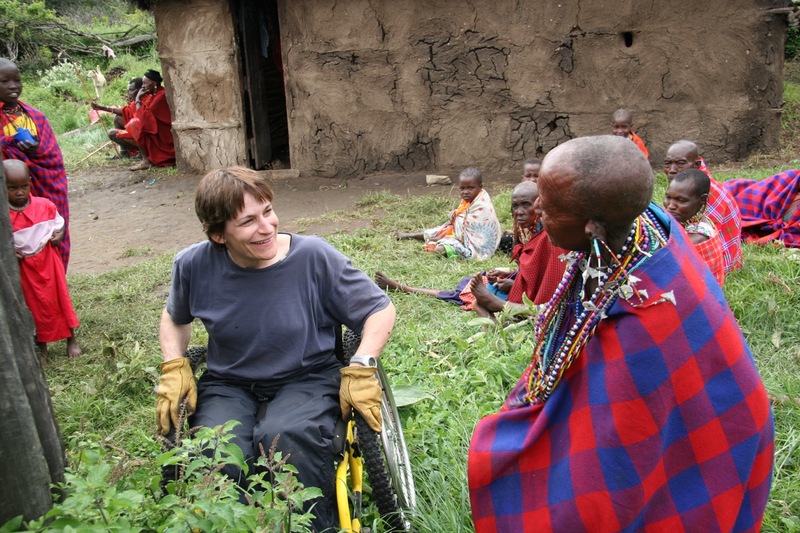 We have had participants who use manual wheelchairs successfully join us on safari in Kenya and Tanzania. The basic activity of riding in a vehicle for game drives is very accessible, but persons using wheelchairs will most likely need assistance transferring in and out of the vehicles. Also, most of East Africa was not designed for people who use wheelchairs. We have a variety of ways to make each trip more accessible, like using our "Rick-shaw" device to help on hiking trails, but the reality is it will be more difficult than getting around in the States. For this reason, we may ask you to bring a "Trip Assistant" to help with transfers and some physical issues, and we will ask for your patience as there may be situations that are just not practical for persons who use wheelchairs to participate in -- like a steep climb to a waterfall. Flexibility is key! Please call us to discuss. What are the visa requirements for Kenya? A visa is simply a stamp in your passport that permits travel in a foreign country. You need to have a Single-entry tourist visa to get through customs in Kenya for this trip. Most people get their upon arrival at Jomo Kenyatta Airport in Nairobi. If you prefer, you can obtain your visa in advance through the Kenyan Embassy. What are your thoughts on safety in Kenya? Safety is our top priority on every trip, and Kenya is no exception; we would not offer a trip of any kind that places our groups in unsafe situations. Please rest assured that we take every precaution that we can and monitor conditions during our time there. We also register our entire group and route with the US Embassy. We are confident you will be impressed with the level of safety and security you will experience in Kenya. Tourism is Kenya's primary industry and it is in their best interest to ensure tourists are safe. You will find the wonderful local people going to great lengths to ensure your safety and comfort. 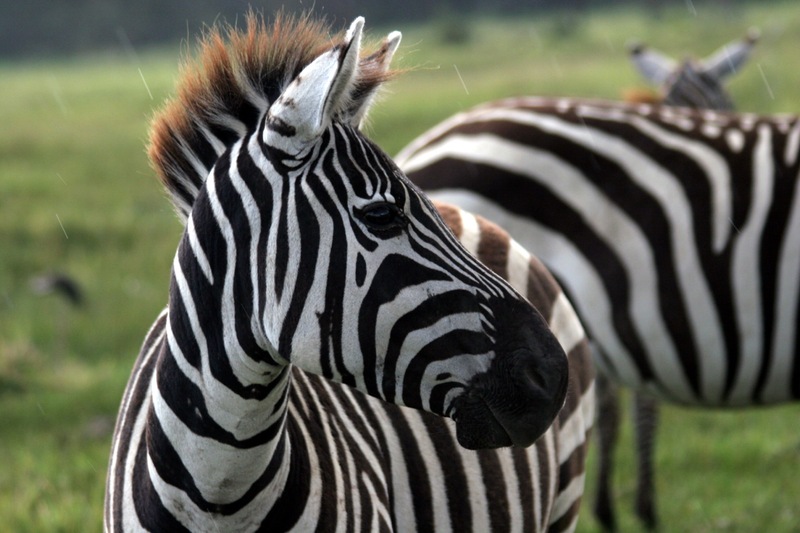 Do you have a single supplement for Kenya Wildlife Safari? You can elect to guarantee a single room for the duration of the trip for $995 during the registration process.